The glass sandblasting machine is easy to use, silent and very intuitive. 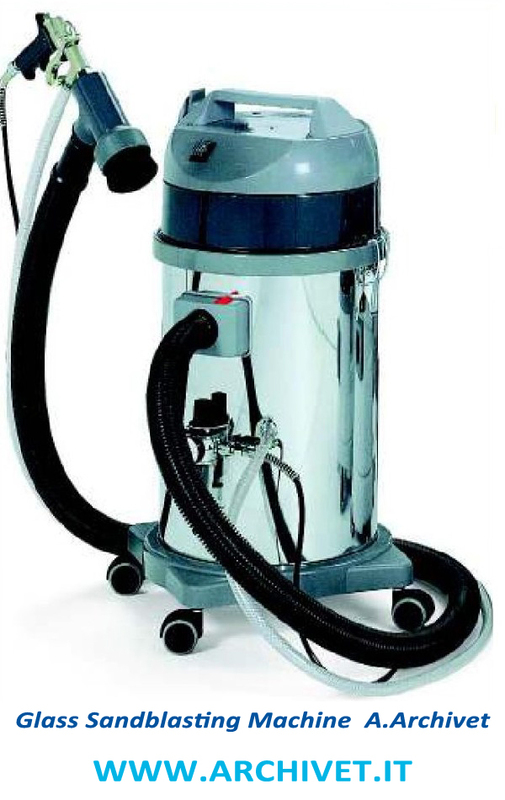 It is equipped with an automatic vacuum system to prevent from abrasive material’s dispersion in the air. Is mainly composed of a 27 liters tank. This instrument is perfectly suitable not only for a sandblasting work on marble and glass but also for small restorations of iron and metal parts and components ( for example, the restoration of classic cars etc.). Light and easy to carry this to the wheeled base is suitable also for use in open air spaces (construction-site etc.) not only in laboratories. Our glass sandblasting machine is a high quality product.